Belfast's Mark McCambridge records and performs as Arborist. An adept songwriter of country/folk, he has created a wonderful tune in "Twisted Arrow". And it is made even more special by the guest harmonies of Kim Deal (Pixies and The Breeders). "Twisted Arrow" is a dark, but beautiful sounding tale, and the vocals by Mark and Kim are well-matched. The single gets its limited edition release on May 4, but for me the song has that 'great weekend music' vibe, so I wanted to bring it to your ears today. The other players in Arborist are Richard Hill, James Heaney, Ben McAuley, Johnny Ashe, and Luke Bannon. 9 Classic Tracks by Sarah Mary Chadwick is music that is emotionally raw, guileless, devastatingly clear-eyed and devoid of sentimental optimism, stately of pace, and utterly beautiful and captivating. The keys, drum machines and occasional guitar remain in the background, as they should. Because however appealing the listener finds the melodies, the star of the show is Chadwick's voice -- clear of tone, with a natural ache and an almost unnerving directness and intimacy. And that style perfectly matches the material at hand. Consider them love songs, perhaps, but bleak and sad love songs performed at a codeine-induced pace. Chadwick has written that all of the songs are about specific times and people, in which case some people may owe other people some apologies (or, at the least, explanations). Of course, Chadwick will assume that neither will be forthcoming. With the church-like background of warm synths, the songs unspool like words from the confessional captured by a hidden microphone. But the unfiltered stories never feel awkward, because the songwriting is so very good, the phrasing so straightforward and willing, that even the visceral sadness takes on a sensual beauty. This tear-streaked gem is highly recommended for your late-night listening. A New Zealand native, Chadwick currently is based in Melbourne. She formerly fronted the dark-themed guitar band Batrider, but 9 Classic Tracks is her second solo album. 9 Classic Tracks is out now on Melbourne label Rice Is Nice, and actually has 11 songs. The album art presented above is from the artist's own watercolor. I'm advised that iTunes and Spotify have replaced it with the less NSFW back cover. If spending a year as a fly fishing guide after your band breaks up reliably produced songs such as the eleven tracks on This Is The Life, then the strategy would be well known and the various species of North American trout would be on the endangered list. So we'll guess that fly fishing isn't a muse for every musician, but it certainly has worked for Atlanta's Hunter Morris. 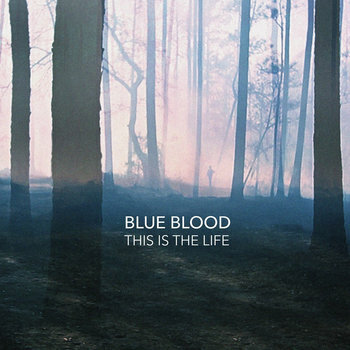 After Gift Horse ceased to exist, Morris took on fishing clients and worked on the songs that comprise this album, recorded under the name Blue Blood. With a thematic focus on learning the lessons life teaches and a rhythmic, softly psychedelic sound merged with crunchy indie rock that suggests what Syd Barrett or John Lennon may have produced if they had been raised in the American south, the album is an absolute aural delight. While as a songwriter Morris may have been looking inward, in the hands of the band the songs bloom into fully realized and richly layered pop songs. Certainly, the band can make a righteous ruckus. But even when the volume is appreciable, the songs remain detailed and melodic. The title track is one of my favorite songs of the year, but "We Could Never Be Friends" and "Helping Hands" are among the tracks that close behind. You can stream all of the songs at the Bandcamp link, and I suggest that spending some time with this album is well worth your time. Although Blue Blood began as a solo project, Morris recruited Hank Sullivant of MGMT and Kuroma as and instrumentalist and producer. The project was further fleshed out in the studio with J.J. Bower,Dave Spivey, and on one track, Walker Howle. For live performances, Blue Blood is Morris, Nick Robbins, Dave Spivey, Noel Brown and Michael Gonzalez. This Is The Life is out now on Atlanta label This Is American Music on viny, CD or as a digital download. Source any of those at the Bandcamp or label links, or hit up your favorite digital distributor. Our favorite retro-pop duo Jack and Eliza are inching closer to the release date for their debut LP, Gentle Warnings, and will be touring Europe and North America in May and June. Here is a taste of the sweet harmonies and jangling guitars to remind you why we are paying attention: New track "Oh No". Friday, May 1, welcomes the release of the self-titled EP from Minneapolis five-piece Murder Shoes. Key elements are female vocals and a blend of post punk and surf noir. Reverb and echo on top of a pulsating rhythm section provide a thick, atmospheric stew. The two tracks below provide representative sample of the songs, with "Charlotte Manning" emphasizing the surfy licks and "Maybe You Can" showcasing the band's harder rocking side. The following "Under the Sea" is more relaxed, and is my current favorite on the EP. "Sea A Little Louder" is a rhythmic post punk track built on ominous instrumental lines. "In Your Bed Or On A Train" closes the EP with a galloping rhythm, surfy guitar and soaring vocals. Throughout the proceedings, vocalist Tess Weinberg's voice swoops, pleads, snarls and seduces in a commanding and versatile fashion. I want to hear a lot more from these guys. Murder Shoes is Tess Weinberg (vocals/keys), Derek Van Gieson (guitar), Chris White (guitar/vocals), Elliot Manthey (drums), and Tim Heinlein (bass). 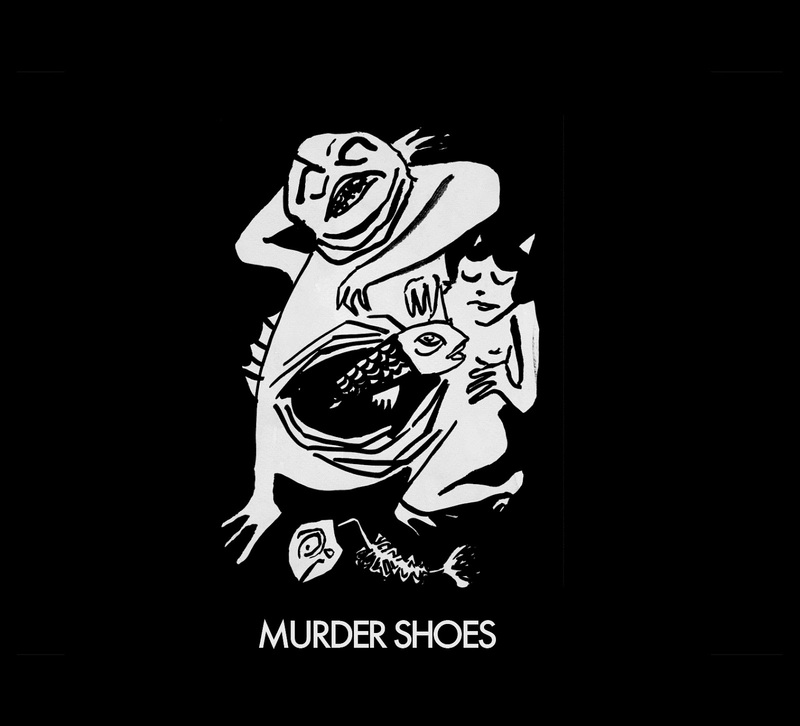 Murder Shoes EP is a digital and CD release via Land Ski Records. On this blog we only write about music we like. But even against that standard I consider Once More From The Top to be a special recording. Special? Why yes, special in so many ways. It is a well-executed concept album about a fictional band, with Side A addressing the public side and Side B addressing the behind the scenes aspects. The packaging looks beautiful, with different cover art for the CD and vinyl versions (the latter with a booklet including lyrics), and special box set editions as well. But most importantly, it is special because of the quality of the music. Stylish and charming pop songs benefiting from a warm and intimate delivery from a stellar group of musicians. The Granite Shore is helmed by Nick Halliwell of The Distractions, and also head of Occultation Recordings, and includes Phil Wilson of the June Brides, Arash Torabi, Mike Kellie, Steve Perrin, Mike Finney, Probyn Gregory, Martin Bramah, and Bella Quinn. I apologize to anyone I've forgotten. One struggles to assign a genre to these songs. Not quite, or not solely, folk, progressive, C86 or chamber pop, they succeed on the merits of strong melodies and sincere performances. Perhaps in identifying a comparison one needs to consider a pop craftsmen such as Lee Hazlewood, Jacques Brel, The Go-Betweens, or, at his best, Kevin Ayers. Of course, even the best song, and the most affecting melody, will miss its mark if the performance isn't sufficient. But there is no danger that The Granite Shore will fail on that yardstick. The worthy players contribute measured performances with no hint of ego. For his part, songwriter and vocalist Halliwell envelopes the listener with tones like honeyed brandy. In fact, I've taken to listening to this album late in the evening because something about the man's voice makes me think that everything in the world is alright. My hunch is that in a few years this album will be considered one of those treasures that should have been better know when released. Don't set yourself up for regret, check out Once More From The Top. Once More From The Top is available from Occultation Recordings (see link). Note that Occultation has released other fine records and also is the UK distributor for New Zealand super mini-label Fishrider Records, so if you place an order for this album they may be able to offer you a discount on other items that strike your fancy.